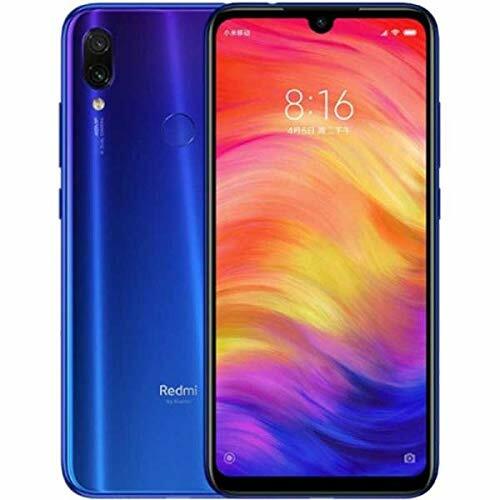 A few minutes ago we told you about it Interesting 3 products appeared on the platform crowdfunding of Xiaomi, which this time gives us a super product dedicated to lovers of ecology and "walks" in the open air. 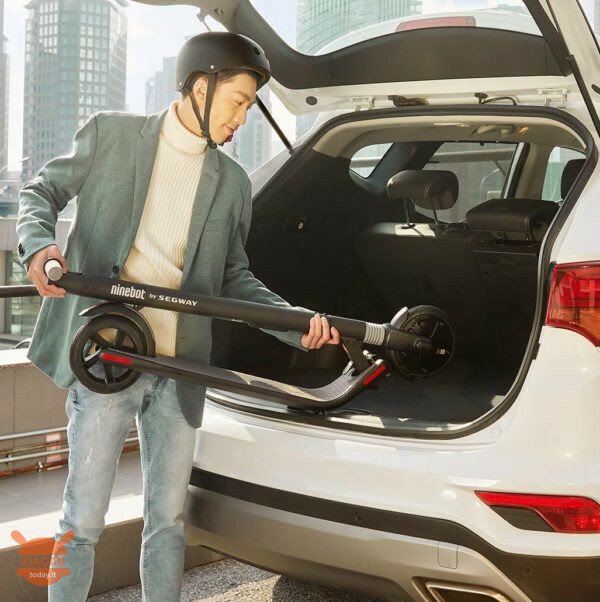 In fact, the company presented a new electric scooter, Ninebot kickScooter ES1, which like the previous models bends over itself, acting on the handlebar, which makes it easy to transport anywhere considering the weight of the product equal to 11 Kg. 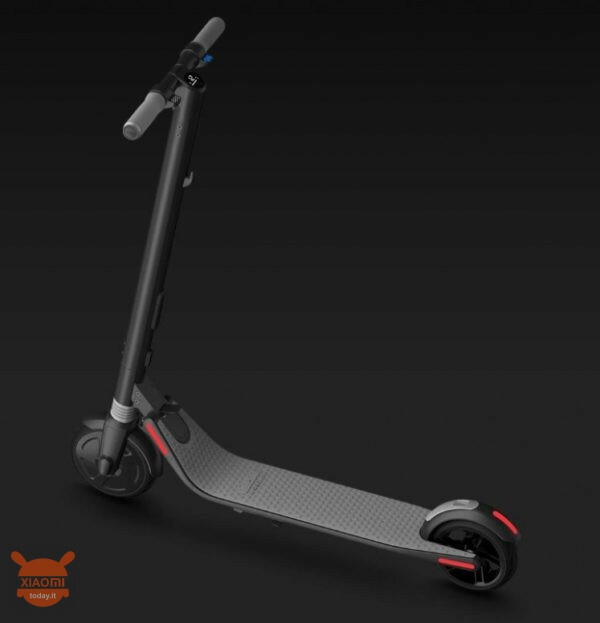 The maximum weight supported is of 100 Kg, the maximum speed that can reach the scooter Ninebot, considering the best travel conditions, is of 20 km / h while the autonomy of the battery from 500W it is enough for 25 km. 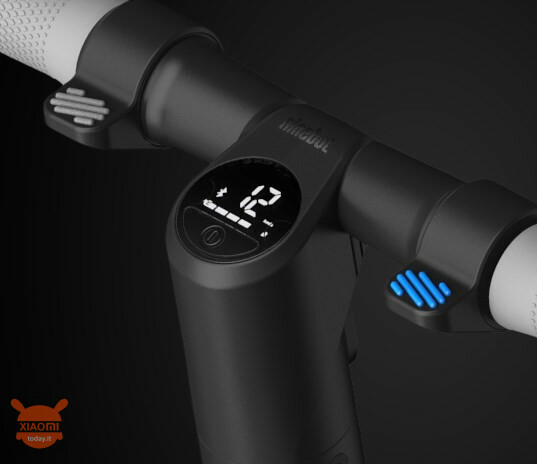 The "novelty" of the new scooter is that the battery compartment is located in the lower bar of the handlebar and not under the footboard. Also on the handlebars we also find a small on-board computer which shows all the necessary information by acting on the multi-function button which also performs an on / off function of the ecological vehicle. Finally we also find a lLED lights from 1.5W with uniform beam in order to illuminate the road in low light conditions as well as in the evening hours. 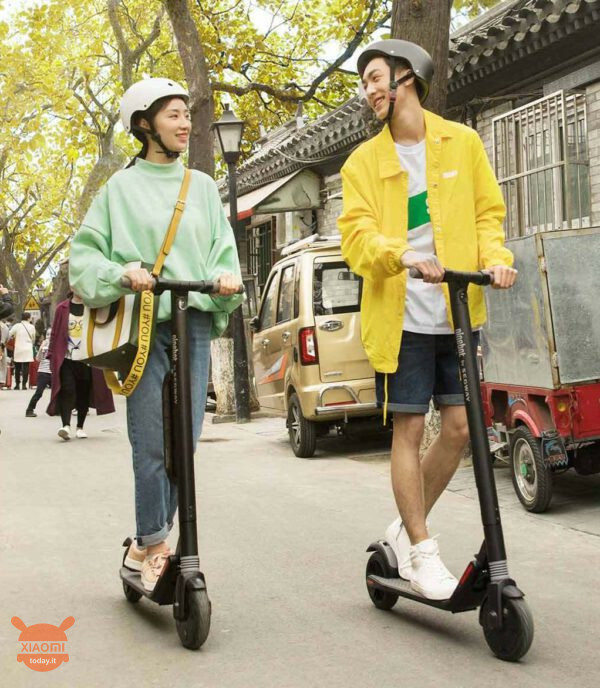 Naturally the information and all data related to the Ninebot KickScooter ES1 can be viewed through thesmartphone application, which will allow us to also set a block to the vehicle. 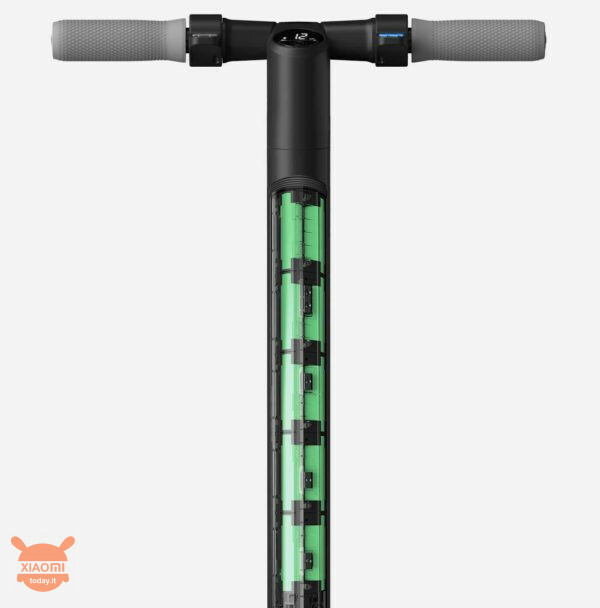 The electric scooter is equipped with a double braking system: the front wheel, equipped with a shock absorber, is able to brake with the help of a motor and the rear wheel with a disc. 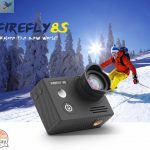 Currently the price in China is of 1799 yuan, about 226 euro, but we expect a substantial rise as soon as it will land on third-party stores. We invite you to read the articles below to have a clear view on the subject and leave me with a question / survey: do you have an ecological vehicle and if yes, which one?